﻿﻿ Ancient Greeks called a drug or drink, or the plant having the power to bring forgetfulness of sorrow or trouble, Nepenthe. Homer wrote of nepenthe, which was probably cannabis or opium. Arabian physicians used opium and henbane as nepenthe. In more recent history, powerful rum was administered freely to British sailors before emergency amputations were carried out on board ship in the aftermath of battle and called the treatment nepenthe. Then, methought, the air grew denser, perfumed from an unseen censer. Swung by Seraphim whose foot-falls tinkled on the tufted floor. `Wretch,’ I cried, `thy God hath lent thee – by these angels he has sent thee. Respite – respite and nepenthe from thy memories of Lenore! International photographer Jan Shim recently set off for the jungles of Borneo in Southeast Asia in search of nepenthe, a photo assignment from a private client. 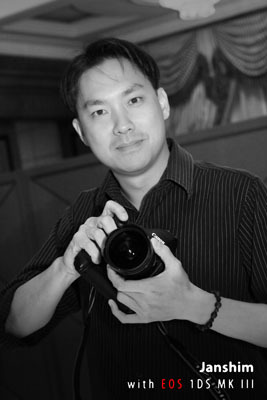 ﻿﻿﻿Shim says, “My current assignment took me to the Sungai Liang—Labi rain forest about 45 minutes away from where I live. 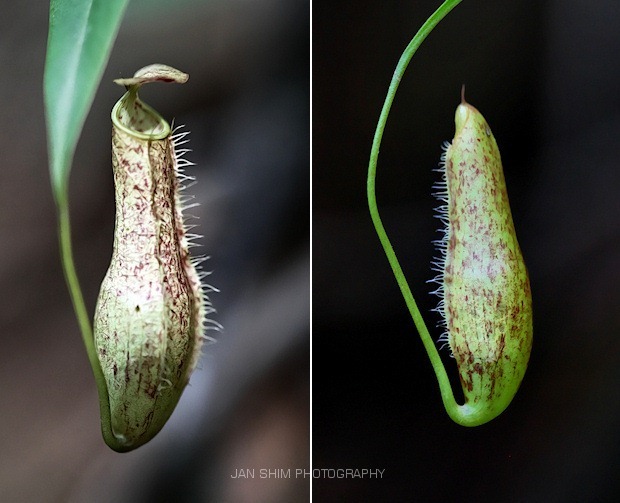 It all started with an overseas client request for photographs of large pitcher plants known locally as Somboi-Somboi. Originally the idea was to photograph the ones found at Belalong in Temburong, three districts away. In his search for nepenthe Shim sought help from Hans Dols (Brunei Shell Petroleum), Dr Ulrike Bauer (University of Cambridge) who steered him in the right direction and also Neesa Johnlee (University Brunei Darussalam) who prepared a “big blue sign” to direct him to where he eventually found these plants. 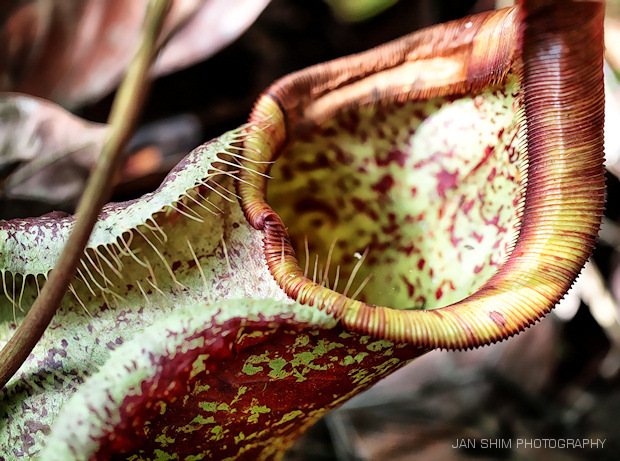 She co-authored this BBC Earth News article on pitcher plants. Along with the mythic nepenthe species, the famous Venus flytrap is one of many species of carnivorous plants. More than 670 species and subspecies have been described (although humans have caused some to become extinct). The genus with the largest number of species (over two hundred) is Utricularia, but many other genera exist. Carnivorous plants eat things like insects, spiders, crustaceans and other small species, including lizards, mice, and rats. Carnivorous plants pull off this trick using specialized leaves that act as traps. This adaptation allows these species to thrive in very poor, nitrogen depleted soils. Many traps lure prey with bright colors, extrafloral nectars, guide hairs, and leaf extensions. 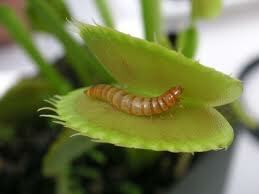 Once caught and killed, the prey is digested by the plant, sometimes with the help of partner organisms. The plant then absorbs the nutrients made available from the corpse. Most carnivorous plants will grow without consuming prey but they grow much faster and reproduce much better with nutrients derived from their prey. While this particular plant activity is grim, it seems ccarnivorous gardening is experiencing a renaissance, according to gardener-photographer Terry Blackburn. He says that until recently, carnivorous plant gardening had been the domain of highly specialized and dedicated hobbyists, along with orchid growers and cultivators of other high maintenance tropical and exotic plants. Carnivorous plants have been perceived as difficult to grow because of their unusual environmental requirements. “I am not an expert in tropical horticulture. I don’t have a greenhouse. I do not have an active hybridization program. I live in a suburban neighborhood near Hillsboro Oregon with a lawn that needs mowing and yard in need of landscaping. I want my landscaping to stand out as unique among my neighbors. I selected carnivorous plants because they are unusual, and some of the techniques necessary to maintain a suitable environment for these plants are similar to water gardening techniques. While I’ve enjoyed learning about pitcher plants and their carnivorous cousins, I haven’t taken up cultivation of these plants in my own garden. What I’d hope to find out through my research is whether these plants, when distilled, offer the promised nepenthe to humans. That doesn’t seem to be the case. Nepenthe appears to be more like a description of somnolence than an actual elixir. If there’s an expert out there who can explain more about these plants, we’d like to hear from you.